Two-time Grammy nominee and Avery Fisher Career Grant recipient Jennifer Frautschi has garnered worldwide acclaim as an adventurous musician with a wide-ranging repertoire. 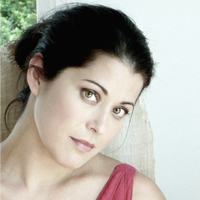 She has appeared as soloist with the Los Angeles Philharmonic, Minnesota Orchestra, Chicago Symphony, St. Paul Chamber Orchestra, and the Teatro di San Carlo Opera House in Naples, and performed at Wigmore Hall, the Concertgebouw, Lincoln Center, and the Library of Congress. Chamber music appearances include the Boston Chamber Music Society, Caramoor Center, Chamber Music Northwest, Chamber Music Society of Lincoln Center, Music@Menlo, Ojai Festival, and the La Jolla, Moab, and Seattle chamber music festivals. She performs on a 1722 Antonio Stradivarius violin known as the “ex-Cadiz.” She currently teaches in the graduate program at Stony Brook University.